High winds over the weekend slowed things down a little, but temperatures are up this week and then winds should be down. Good fishing ahead! Remember – this report is a snapshot in time and changes can occur quickly. We suggest you call one of our members listed at the end of the report – they can be very helpful with what is happening along the river. That way you’ll be assured of a great trip! In the Pollock and Mobridge areas the fishing is really kicking into gear. From Mobridge and up to Pollock fishing is very good right now. Anglers are fishing in 5-15 feet using spinners and crawlers or minnows. At Akaska the wind caused a slowdown over the weekend, but things are picking back up. The Moreau is going really well. Jigs and minnows, crawlers and leeches are being used for bait in 10-15 feet of water. At Gettysburg anglers are starting to catch a better number of fish, with a few more limits coming in. Fishing is good north and south of town. Anglers are using jigs and minnows in 10-25 foot depths. Crawlers are doing a bit better than minnows, but many anglers are still using minnows too. Limits are coming in. Smallmouths are also being caught and lots of catfish are being brought in from the creeks. Around Spring Creek / Cow Creek - Anglers are fishing in shallow stained water with jigs/gulp minnows and bottom bouncers. They are fishing mainly in the back of the rivers or creeks. The Cheyenne River is going well for limits. 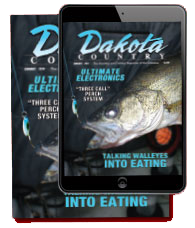 On Oahe the bite is in full spring/summer mode with limits of fish for most experienced anglers. Depths are fairly shallow on windy days and a bit deeper when the water is calm. Pulling plugs in the shallows along with bottom bouncers and minnows and crawlers work well – along with pitching jigs into the shallows. Northern, catfish and smallmouth are going well right now. A few salmon have been caught at the top of Oahe. There have been some nice walleye and white bass caught around the Pierre/Fort Pierre area. Depths are around 8-20 feet around the channels and current breaks Jigs and minnows are a great choice, but pulling plugs can work as well. Pitching jigs along the bluffs is working in the muddy water. At West Bend the fishing has been very good, mainly in 5 - 20 feet. Bouncers and minnows and jigs and minnows are working well. 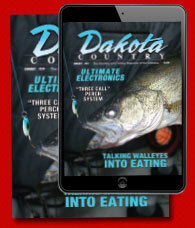 Here walleye and bass are hitting either jigs or bottom bouncers and minnows. Nicer days will definitely produce limits. Smallmouths are going well in this area also. Be sure to bring some bug spray!! Around Chamberlain , Lake Sharpe is producing good fish from the Big Bend Dam to West Bend area. Anglers are fishing in 5-20 feet using spinners and minnows – with some starting to use crawlers. On Lake Francis Case the bite is better and anglers are fishing in shallows. Spinners and bottom bouncers and minnows are working well, with some starting to pull plugs. From Chamberlain to the Platte/Winner Bridge fishing is really picking up. In the Platte area the water levels are up. Fishing over the weekend was very good. From shore to 20 feet is the best right now using bottom bouncers, crawlers, leeches and minnows. Every day is different so you need to try different bait. Anglers are catching fish both south and north of the Platte/Winner Bridge – along the bluffs. Smallmouths are biting here also. Fish are looking very healthy. At the Pickstown - Wagner – Lake Andes areas fishing is going pretty well. Anglers are casting to shore and fish are being caught in 18 feet or less. Pease Creek to the Fort Randall Dam is going good. It’s going well on the main body of water and it’s quite good for this time of year. Minnows and crawlers are the best for bait. Some black crappies and bluegill are being caught also. When you’re out on the water be sure to keep an eye out for wildlife – that’s a great part of fishing! A fisherman reported seeing an antelope swimming at Whetstone Bay! And, eagles can be seen everywhere. At Yankton the fishing is going well with the warmer weather. Minnows and crawlers are the best for bait here.